I remember when this little lady was a baby. I am a photographer for a local preschool delivering custom photographs of students. One fun part of that job is watching the kids grow up. At the school, as a bonus, I hold a simple photoshoot so students can get a photo taken with their siblings. I remember mom setting down her little 9-month-old or so next to her older brother and sister. Two things occurred that we weren’t expecting. One, baby stayed put. And two, she actually smiled at the camera. Of course, now she is a pro at this as is her older brother and sister. 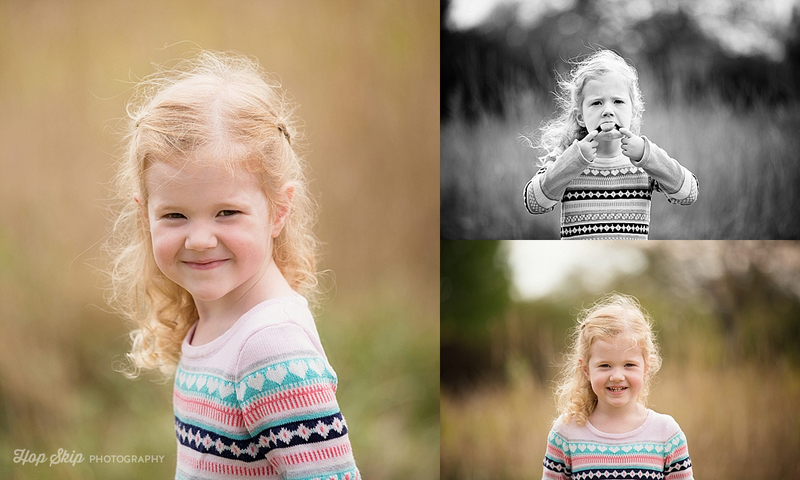 Another fun part of being a preschool photographer is building a relationship with families over the years. So when a preschool family signs up for a session with me, we are all familiar with each other and that translates into genuine expressions and fond memories.